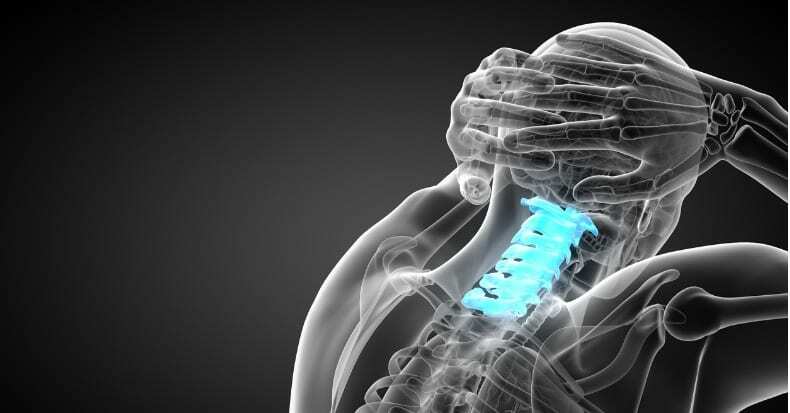 Neck Pain – What Is Cervical Spinal Stenosis? Simply put, spinal stenosis describes a narrowing at the openings of the spine. When spinal stenosis exists in the cervical spine, it’s called cervical spinal stenosis (CSS). This condition is usually the result of wear-and-tear or aging, and hence, is most common over the age of 50. However, CSS can occur at any age if a vertebra in the neck sustains a fracture. There are two types of CSS: central and lateral CSS. Central CSS is narrowing of the central canal where the spinal cord travels and gives rise to the many pairs of nerves that exit out to the arms, trunk, and legs. Lateral stenosis is narrowing of the side openings (referred to as the lateral recess or the intervertebral foramen) through which the spinal nerves travel outward from the cord and into the left and right arms and legs. Causes of CSS include the following: osteoarthritis (in which a narrowing of the central and/or lateral canals occurs and crowds the spinal cord and/or spinal nerves); a herniated disk (where the cushions between the vertebra crack or tear allowing the more liquid-like center to leak out and press into the cord or nerves); an injury (fracture); a tumor (growth); Paget’s disease (a condition where the bones grow abnormally large and brittle); and/or a combination of the above. Symptoms may start out as a vague pain, numbness, and/or tingling in the innervated area(s). If a spinal nerve (lateral CSS) is affected, symptoms can present in the arms, torso, or legs. When the spinal cord itself is compressed (central CSS), symptoms can include loss of bladder or bowel control (in extreme cases); impaired balance; sciatica (pain down the back of the leg), foot drop (weakness standing on the heels), and more. A gradual loss in walking time/distance is common and stopping to sit or bend over is usually relieving (this is called “neurogenic claudication”). The diagnosis is made by following a careful review of the patient’s history and a thorough examination, which may be aided by x-ray, MRI, and/or CT scans. Though guidelines recommend starting with non-surgical treatments, such as chiropractic care and at-home exercises, if bowel or bladder weakness is present, then surgery may be required to open the narrowed canal(s). The good news is that CSS can often be successfully managed via chiropractic treatment and other conservative options.